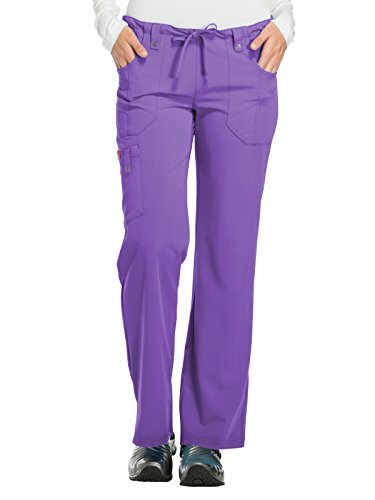 Junior fit, designed to fit close to the body, Polyester/Rayon/Spandex Twill, Belt loops with decorative logo eyelet snaps, Elastic at back waistband, Multiple pencil loops adorn right front pocket, Inseam length : Regular 30.5", Petite 28", Tall 33.5", Front pockets have seams for added detail. Side cargo pocket includes a self loop with a logo eyelet snap. Double needle stitch details, a seam at back leg for flattering shape, a back pocket, and side vents also complete the look, Sizes : XXS-5XL.